TH7 base design was yesterday, and today we have the best TH8 base design in Clash of Clans for November 2016! These bases are both for farming and for war; the best layouts that I could find! Choose out your favorite and enjoy defending against three stars or saving up your DE! This first best TH8 farming base is a ring base, meaning that troops will go around the outside of it instead of in, towards the storages and Town Hall. With the dark elixir storage in the very center, it is sure to be protected from barch and hopefully giants too. The gold and elixir storages are spread out, making it difficult to get all the loot. 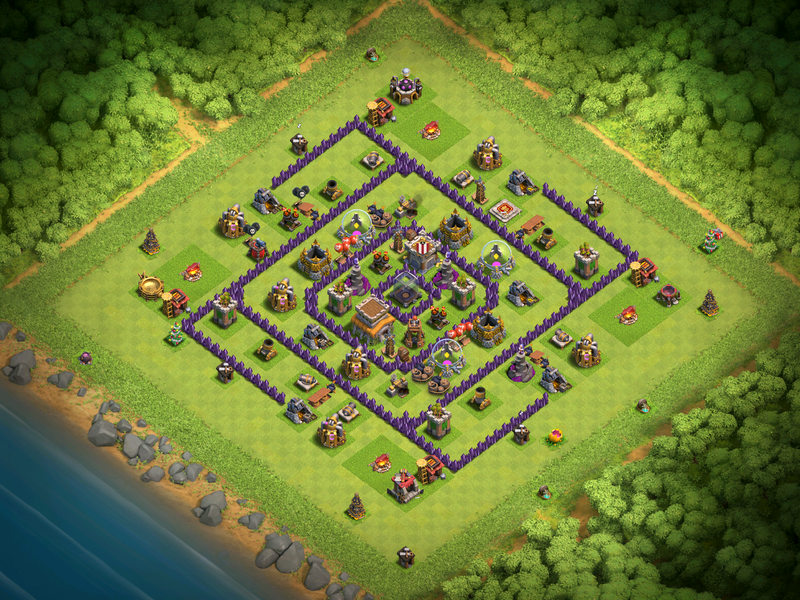 This is another variation of a Clash of Clans TH8 ring base. In this one, the DE storage is also centralized, making it very difficult to get a lot of dark elixir. Same thing with the storages as the last base: they are spread out and deep within the base. 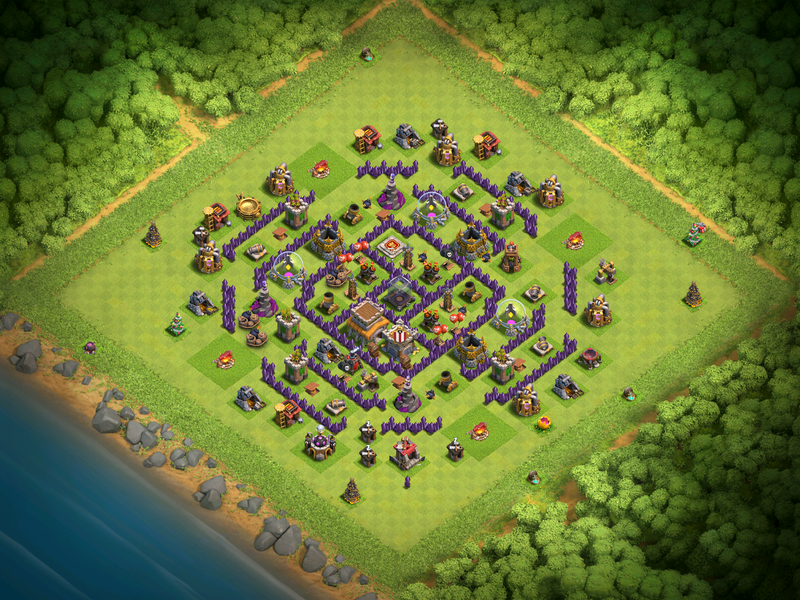 The whole key to this TH8 base design is making troops go around. 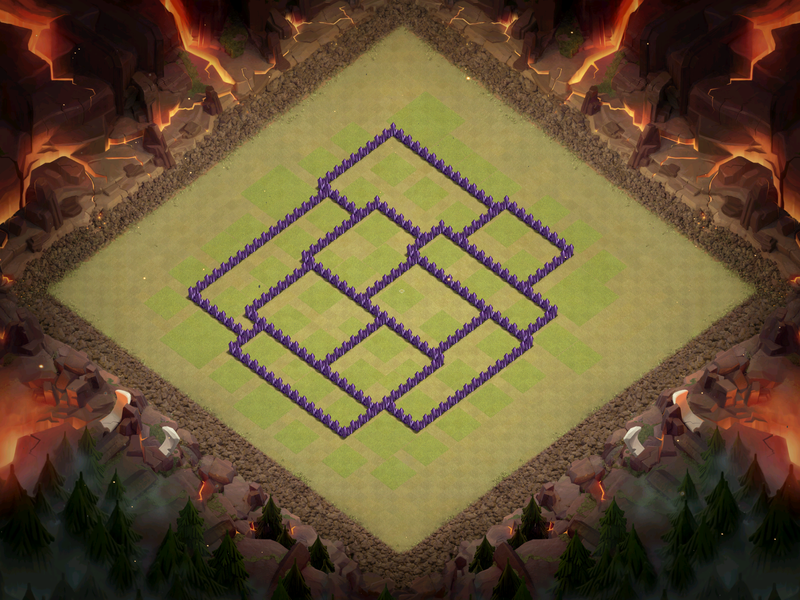 Lastly, we have a golden TH8 anti-three star base design. The clan castle is centralized which means that the clan castle troops are hard to be activated. Also, it is tough to get to the center of this Town Hall 8 war base since there are teslas and traps blocking the path to the core. 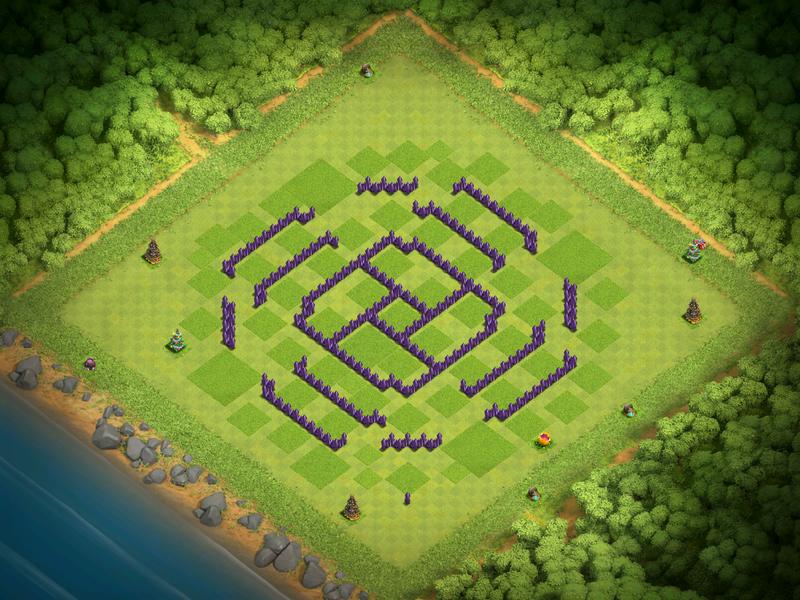 Hopefully, with this Clash of Clans base layout, you will be able to prevent the three star in clan wars. So those are the best TH8 bases for November 2016! 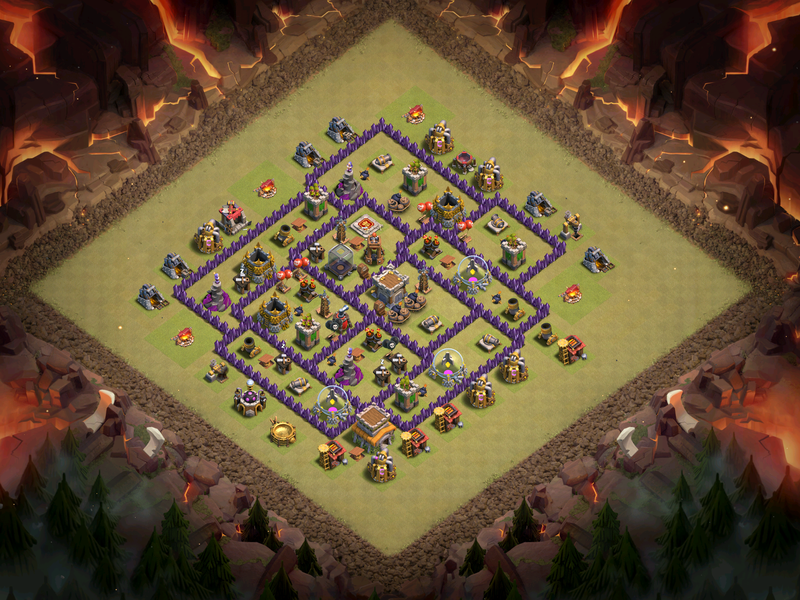 Thanks for reading and make sure to come back soon to see the best Town Hall 9 bases for November. Pingback: Best Town Hall 8 Base Design for November 2016 | Clash of Clans Guide, Strategies, Tricks and More! Other than that, these bases are great! Unlike you I am only good at designing one type of bases, so it’s good to see great bases of every type! The double giant bomb spot on the last one is between a defense and the clan castle. I suggest you switch one of the center defenses with the CC for better effect.